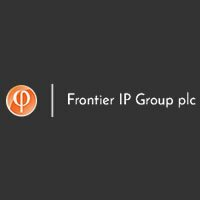 Frontier IP Group Plc (LON: FIPP), a specialist in commercialising university intellectual property, today announced portfolio company Amprologix has won a contract worth £1.2 million funded by the UK Department for Health and Social Care to accelerate development and scale up its lead antibiotic candidate to tackle antimicrobial resistant MRSA and related superbugs. The contract from the Small Business Research Initiative, administered by Innovate UK, will be used to make the Company’s epidermicin NI01 antibiotic ready for phase 1 human clinical trials during early 2021. Epidermicin NI01 is the lead candidate in a new family of epidermicin-based antibiotics being developed by Amprologix, a spin out from the University of Plymouth. Amprologix was established last year to commercialise the work of Mathew Upton, Professor of Medical Microbiology at the University’s Institute of Translational and Stratified Medicine. The Company has already secured industry involvement. Ingenza, a leader in industrial biotechnology and synthetic biology, is also a shareholder, and Frontier IP holds a 10 per cent stake in return for providing a range of commercialisation services. Amprologix’s first product is expected to be a nasal cream containing NI01 to prevent MRSA infections. For the project, Professor Upton will optimise the formulation of epidermicin and conduct a pre-clinical toxicology evaluation. Amprologix will license optimised microbial based production technology from Ingenza’s biologics manufacturing platform to produce the new antibiotics at scale. Epidermicin is derived from bacteria found on human skin. Work conducted to date shows a single dose was as effective as six doses of the current gold standard treatment in a relevant model of MRSA infection. Antimicrobial-resistant bacteria kill more than 25,000 people a year in Europe, while MRSA was named in 2017 as a “high priority” target for antibiotic research by the World Health Organisation. Professor Upton initially developed the patented technology while at The University of Manchester, which owns an equity share of the business through UMI3 Ltd, its IP commercialisation arm.